RSVP to Tie Dye Event! This fun team activity has been a staple bonding event for the last few seasons. 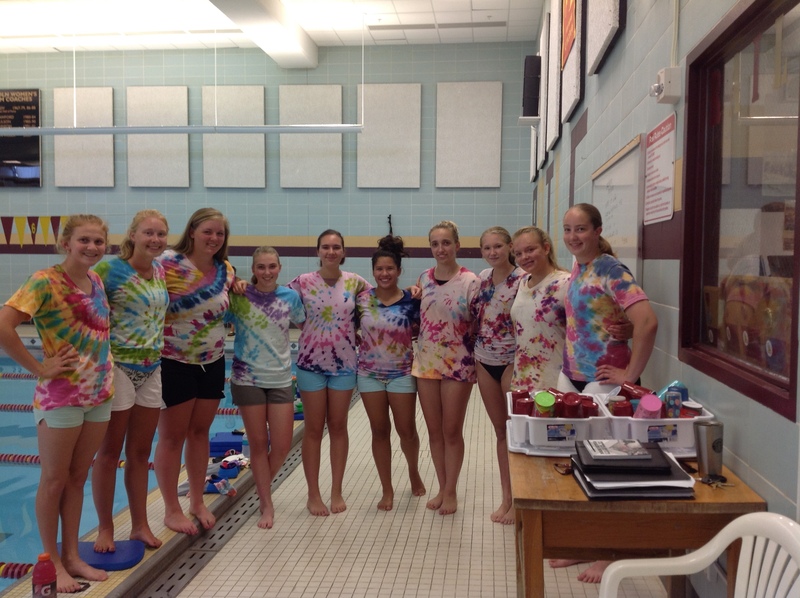 Swimmers and divers get together right after the time trials meet to make shirts together and eat breakfast pizza. Every year, it’s ton of fun to see the t-shirts be created and we hope to see the whole team there. Below is a list of what we’ll provide and what you need to bring. We’ll start tie-dying immediately following the meet and it should take 60-90 minutes to mix the dye, do the shirts and eat breakfast. We try to end by 11:30AM each day. 1. Leave the dyed items in plastic for 3-24 hours. 2. Unwrap and undo rubber bands. 3. Rinse several times thoroughly in cold water to get rid of excess dye. 4. Wring. Air dry (outside might be best). 5. When first washing, do so separately from other clothes and/or with a “color catcher”. On Monday (8/15), bring your handy work to afternoon practice! We want to see everyone’s final t-shirt and snap pictures of the completed projects. Note: This is a team building activity. So though many fans will be present at the time trials meet, we’re asking anyone who is not a Rails swimmer or coach to head home after the meet. Please plan to pick up your athlete (if needed) around 11:15/30AM.